Celebrate safety achievements to date. 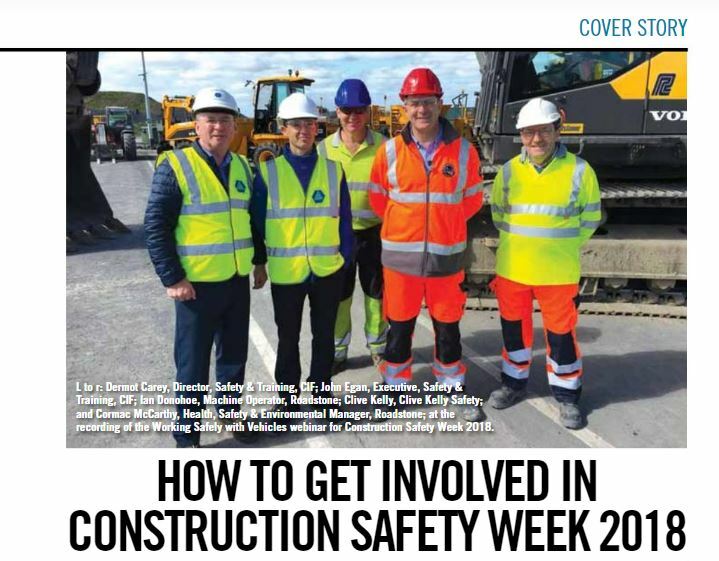 Clive Kelly will be participating at Construction Safety Week 2018. CIF recorded video on safety checks for heavy plant machinery. 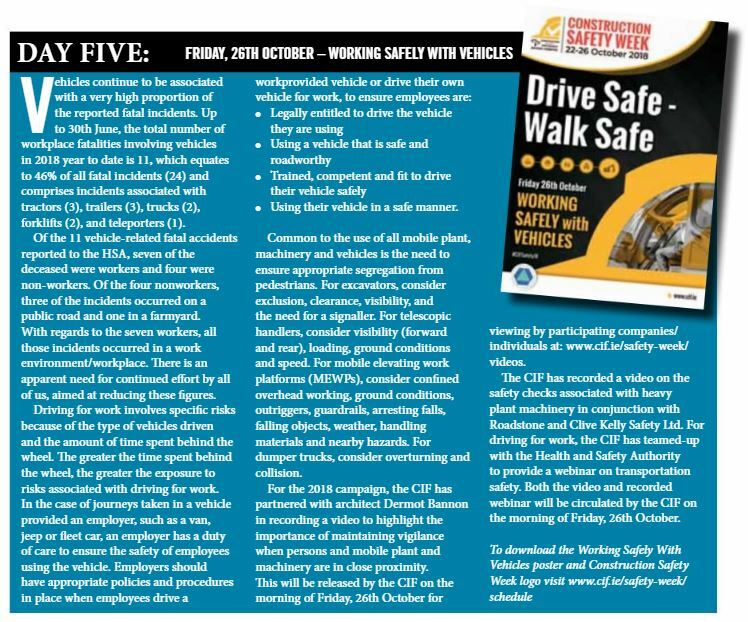 These safety videos were developed in conjunction with Clive Kelly Safety LTD and Roadstone (see Day 5 – Friday 26 October presentation on the topic of “Drive Safe, Walk Safe”).